We are pleased to announce that Junior Athletics resumes for the 2019 season at 9am on Sunday March 17th at Barn Elms track. We look forward to welcoming you all back then! Last two Epsom downs cross country fixtures. 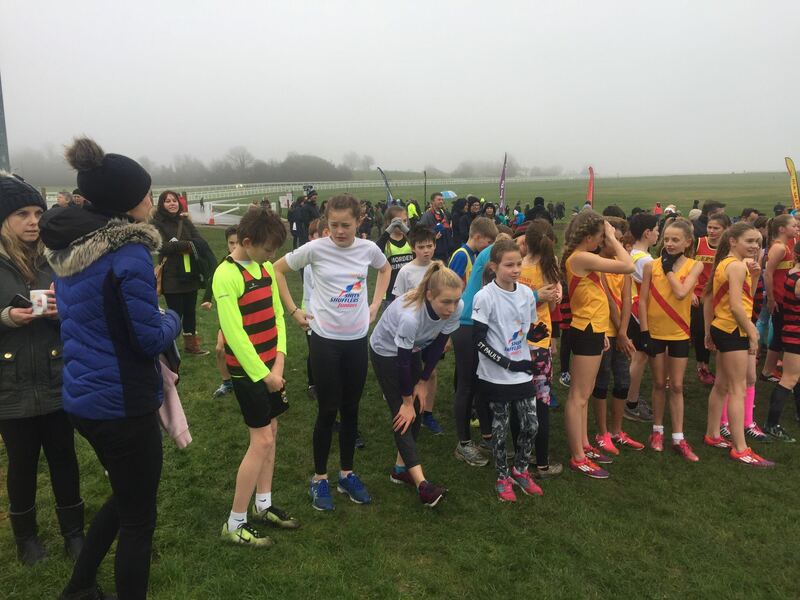 The next junior’s cross country is on Sunday 17th February 2019 with the last fixture of the season being two weeks later on 3rd March. Sunday 20th January , Sunday 27th January , Sunday 3rd February , Sunday 10th February and Sunday 24th February. 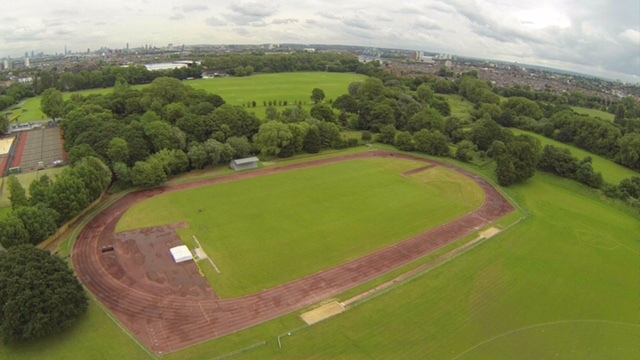 The sessions will follow the structure: warm up , Game , 6 x 150m finishing with a 2.5km run. The sessions are £7.50 and are open to all. Check out http://www.barnesathletics.com for the midweek junior’s sessions that will restart in February. For the second year running, we will be hosting our own Street Orienteering event in Mortlake and Sheen. The event will take place on Thursday 27th December at 10:30am with the start just to the north of Mortlake Station opposite Thompson House School. We’ll keep our fingers crossed that it doesn’t pour with rain again this year. This is open to both our senior and junior sections and any friends who’d like to join in, though we would request that ‘children’ run with guardians. We can always sort out logistics if you let me know you want to run and have no one to run with – we won’t stop you running in groups. Can you let me know (bob.reed@post.com) if you want to run as we need to know approximately how many maps to print – it’s colour ink on special tear proof paper. 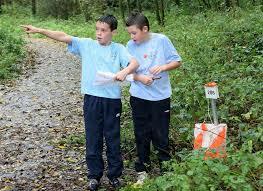 What is Street – Orienteering? 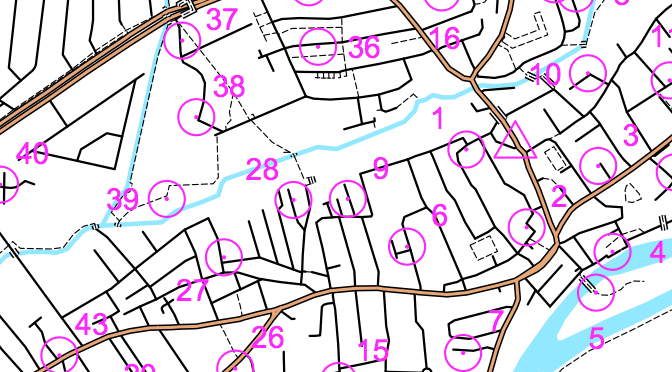 A very informal urban orienteering race, where you are given a special map of the local area, with the aim of running around looking specific locations (“controls”) on the map. You will also be given a clue sheet (on the back), which will ask a question for each control, which you will be able to complete when you find the correct location – e.g. “fire hydrant number” or the “colour of door at number 20” etc. Each control is assigned a points value – generally the ones further away are worth more points. The aim is to score as many points as possible, within the given time limit of one hour. Try to keep within this limit, as you will be deducted 1 point for every 3 seconds you are late getting back! If you don’t want to be out for a full 60 minutes you can always come back earlier. What does the map look like? An A4 sheet with streets shown as black lines and paths shown as dotted lines – and obvious major roads. As with all orienteering maps, there are no street names on the map! The controls are normally drawn overprinted in purple. To help distinguish which side of the road you need to be looking at, the control circles are shown with a dot in the middle. The start and finish is always at the same place and shown by a triangle. All you should need is running kit, a pen (a spare is also handy as I can testify) and a watch. A compass is not required! If you are still not sure about what to do – arrive a bit earlier and we will give you a quick tutorial. There are plenty of road crossings on the more major roads – so please use them rather than taking a gamble! We will reconvene after the event at The Hare & Hounds in East Sheen! Any questions – please ask. It’s a fun event so we hope we’ll see quite a few of you taking part! The next Street-O in the 2018-19 season takes place from The Park Hotel, 19 Park Road, Teddington, TW11 0AB on the above date. As it is an electronic start, you can start anytime between 6:30 and 7:30pm. You can run in groups, so bring along a chum or two, providing you have an adult with you. The Street-O format has clues located at various points on a map. You have 60 minutes to visit as many of these as possible, in any order, and return to the finish. Don’t forget to bring a pen to write down your answers to the clues as you go around, an SI card if you have one, and a watch so that you aren’t late back! You may find a torch/head-torch and compass useful too and hi-vis clothing would be sensible. They really are great fun and all over (if you time yourself right) in 1 hour. All competitors take part at their own risk. You MUST be over 16 to take part in this event, unless you are accompanied by a parent or guardian. This is a condition of the insurance. 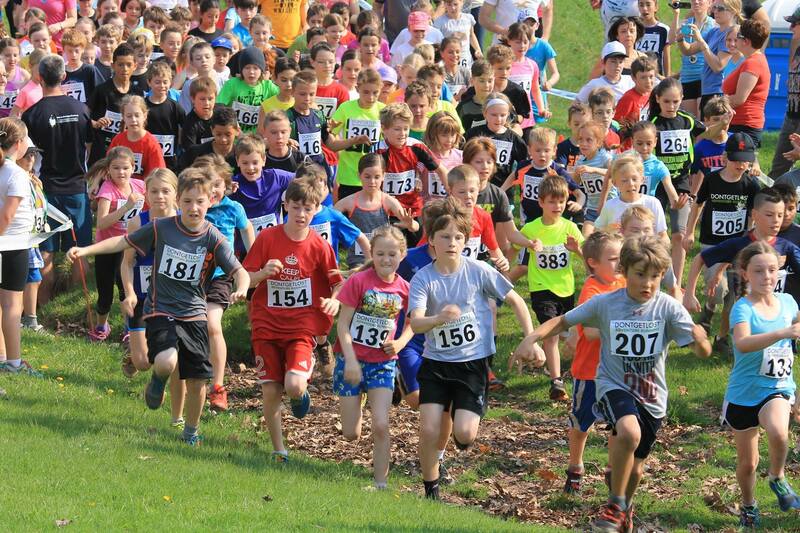 There are two courses, 5K and 2.5K, Children can run if accompanied by an adult or responsible guardian. If you let me know if you are coming and don’t know what you are letting yourself in for, we will arrange for an informal introduction to an orienteering ‘master-class’ before you start. If you are still unsure, again, let me know and we can try and arrange company around the route. Basically, you are given a map with clues on it and you have to navigate to the clues ‘check-points’ and electronically check in. You will need a head torch, whistle and a compass. The cost is £5 entry, £3 for juniors. Registration between 18:00 and 19:25, and as it is electronic timing, you go when you are ready. These are fun but frustrating events (when you can’t find a check-point). You can run in groups, so please don’t feel you have to run on your own. Just a reminder that the first event of the winter cross-country league takes place on Sunday 21st October on Epsom Downs, the week after Junior Athletics finishes for the 2018 season. The start and finish is at Tattenham Corner (KT18 5PP) and you will see us there underneath our sail banner. Please leave plenty of time to get yourself registered. Entry is free of charge. Club tops must be worn and these can be purchased from Steve MacDuell. Steve will be the principal coach involved, but any of the coaches will be able to answer any questions you may have. It would be helpful if you could let Steve know in advance if you are running, either directly to Steve or via the enquiries form on this website. We really hope to have a good turn out this season. Look forward to seeing you there! Please keep an eye on the Sheen Shufflers Juniors Website and on our Facebook Page to be notified of other Junior activities. We will once again be competing in the Epsom Downs Cross-Country League this winter. Club tops must be worn and these can be purchased from Bob. Steve McDuell will be the principal coach involved, but any of the coaches will be able to answer any questions you may have. We really hope to have a good turn out this season. As soon as we have more details we will post them. …and for you parents – if you hanker after organised cross-country having liked/despised it at school – the senior Shufflers are also in a cross-country league and we’d be delighted to talk to you about getting involved! Some parents even turned out and ran last season! This is the last week of the Summer Holiday’s Summer Camps at Barn Elms. Both camps will commence at 10am, the first on Tuesday at 10:00am and the second on Thursday at 10:00am. The camps last approx. 90 minutes and cost £7.50 per athlete. This week’s camps will be run by either Steve or Louise, or maybe both. Please feel free just to show up! Due to the Prudential Bike Ride and the consequential road closures in the Barn Elms area, there will be no athletics this Sunday. We will resume as normal on Sunday 5th August.